The name, or tag rather, intrigues me. It’s part of a culture that I find fascinating when I should find it repellent. As an old curmudgeon, homeowner type, I’m expected to dislike graffiti. For me, I’m working on understanding it and living with it. It’s everywhere. 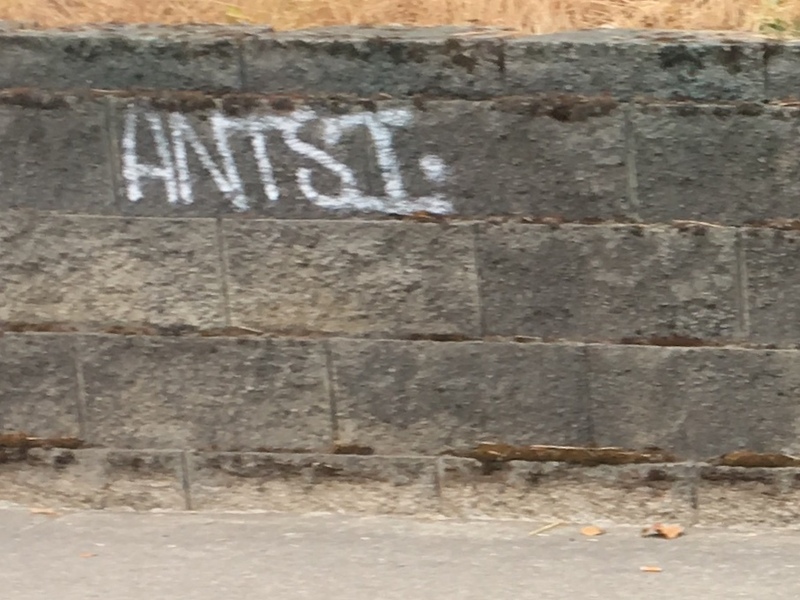 Antsi graffiti has seized the zeitgeist with a spray painted, nervous penmanship. 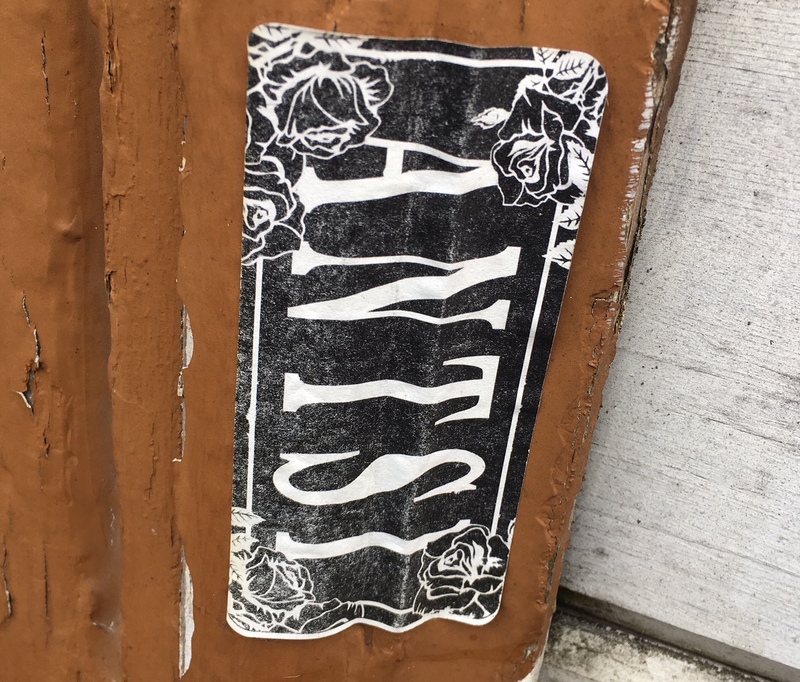 Antsi, spelled with an i, may not refer to the word antsy but it feels weirdly reassuring to be reminded of these times living in the United States of Anxiety. We’re dealing with the work of vandals creating an unstoppable visual clutter as well as the mystery of who is making it. 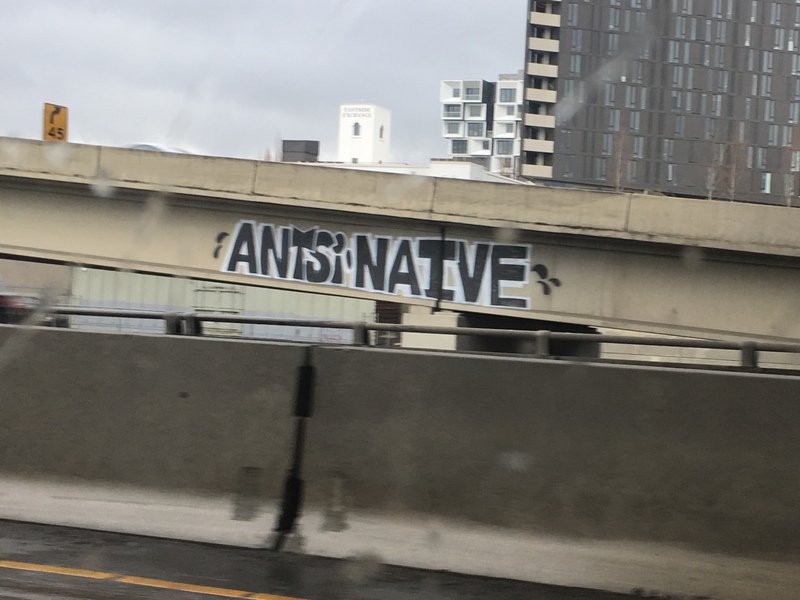 I didn’t realize how much of a graffiti star Antsi was until I wrote a post that mentioned the tag in passing. It began to get a slow and steady trickle of readers before becoming my most read blog entry. 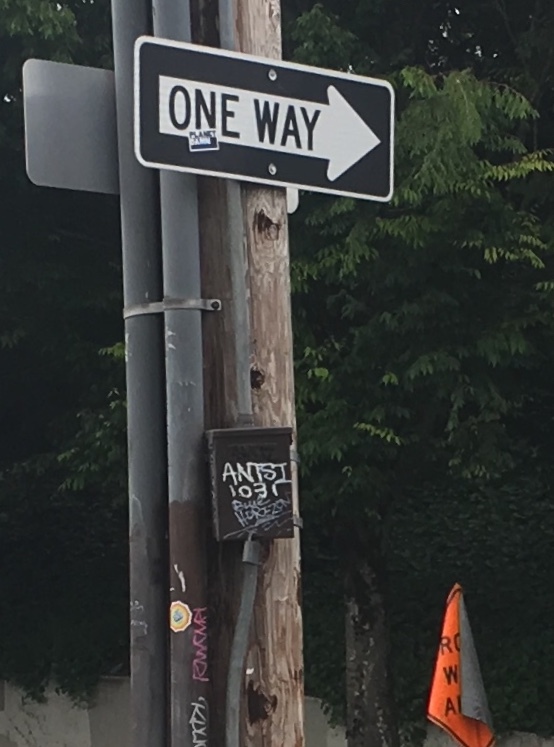 It’s not hard, on a typical day traveling from North to SW Portland and back for work, to see evidence of Antsi. The name is out there. Sometimes it’s small, other times it’s big and bold and it includes a black outline, my preferred method. Graffiti has to rise above the tiny nuisance scrawl. Here’s where I feel the need to offer my typical disclaimer. I come to bury graffiti not to praise it. While a third-rate Shakespeare reference will do nothing to stop this expression, I once again run the risk of glorifying graffiti. Antsi can’t be ignored. 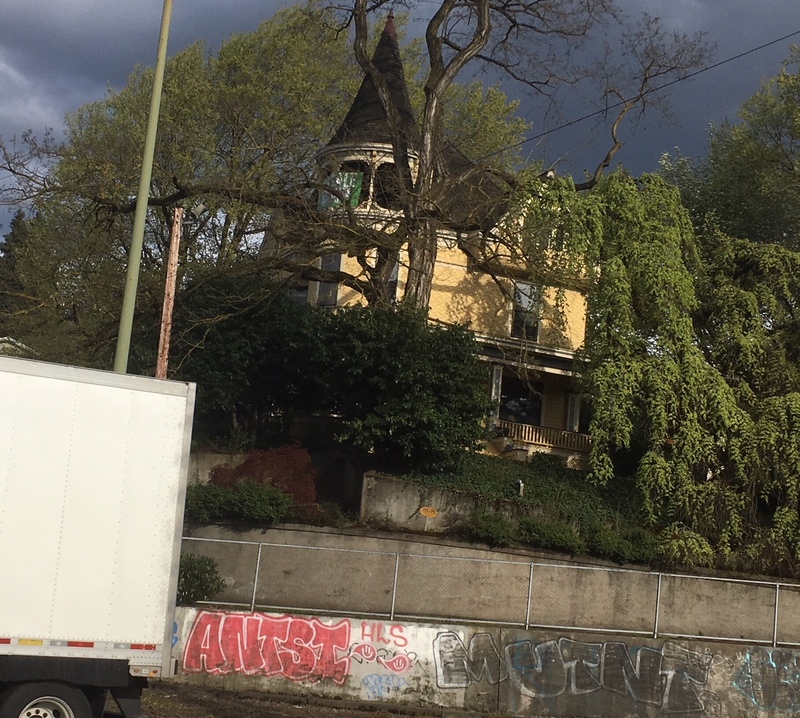 The sheer amount of tags, the word it implies and the audacity of some of the locations, especially around I-5, makes me realize that this is, in some way, a special tag that’s due consideration. It will continue in the cycle of spray painting, clean up and more graffiti. Antsi survives by staying ahead of the clean up crew. Meanwhile, additional thoughts on graffiti will be explored in a second post. My appreciation for graffiti involves unique looking efforts, examples created under death-defying circumstances and tags that makes sense and might carry a message, a challenge when we’re dealing with a lone word. 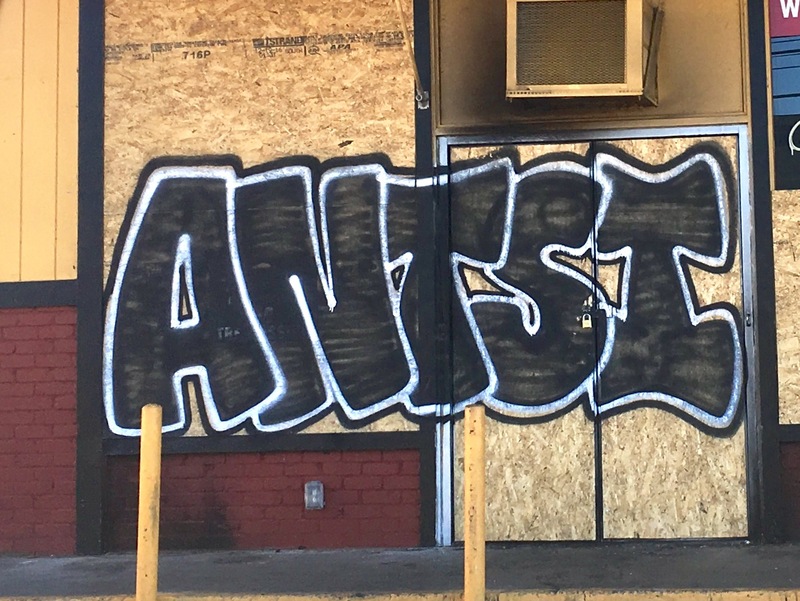 In a sea of “rafts,” “qwilts,” and “napkn” tags Antsi stands out. The real message may have more to do with my imagination applying meaning. I know the city and highway department have better things to do than cover up graffiti. It is a waste tax dollars. That money could find better ways to be wasted. For me, it’s become the strange entertainment of obsessing over new tags and spray paint designs on my commute to work. There doesn’t seem much else to experience trodding back and forth with other disillusioned souls. Here’s a few tales about the good times I’ve experienced through the work of Ansti. It’s hard to tell if the owner of this truck gave permission to have his vehicle painted. It seems like there was an opportunity to make the paint job spiffy. 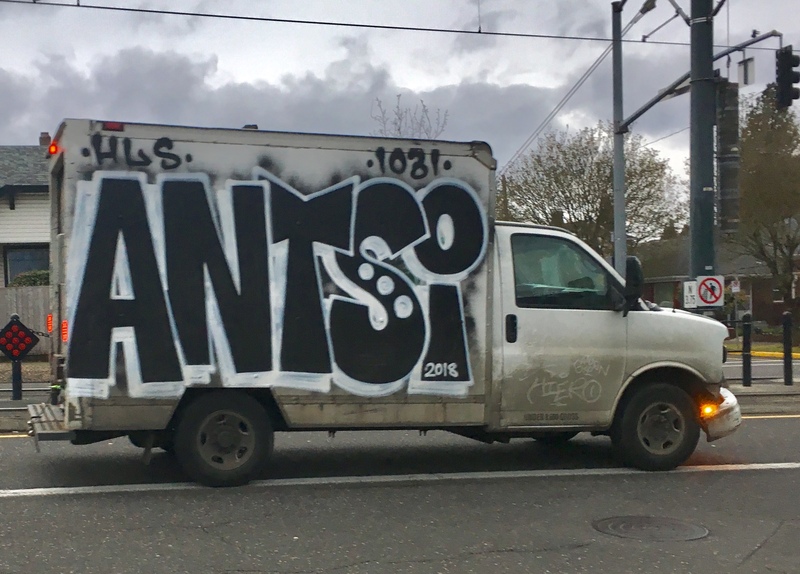 It’s apparent that no effort was made to paint over the side panel which allows Antsi an opportunity to have a moving billboard promoting his brand. Not wanting to miss a chance to get this photo, I had to drive down a side street to wait for this truck to pass by. I do have to admit to playing with my phone while driving. This was one of these moments where I was hoping to catch an image of the Donut King’s house for a future story. A decent image would save me a trip for more photos. Looking at the image later, I noticed the Antsi tag on a jersey wall in the lower left corner. The red color adds a splash of vibrancy, something different from the usual black and white color scheme. It’s not everyday that you get a sense of the personal experiences that come from someone having their property tagged. I’m writing about this from a memory of a while back based on what I read on Nextdoor. The feeling I recall was pure rage. 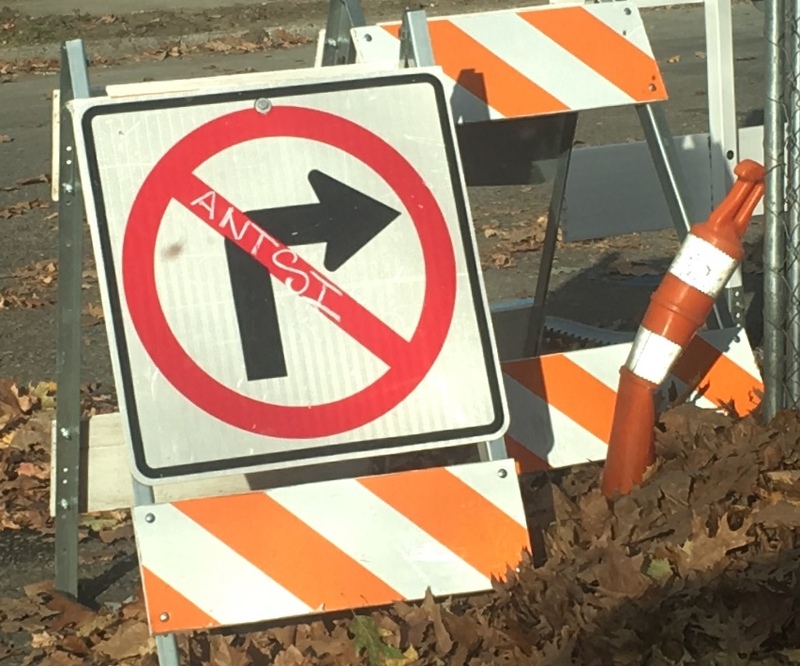 The business owner had a legitimate complaint about an Antsi tag that appeared when his Lombard Avenue business was in the midst of a renovation. Antsi managed to keep the paint mostly on the temporary plywood. In the Albina neighborhood, I may have found the answer to what the Antsi promotion is about: Boasting sticker sales. Going from graffiti to stickering seems like a natural progression with opportunities for cross marketing, double branding or other phenomenons of our current times that mystify me. I’m getting more antsy trying to figure it out. Hi, would like to chat about this subject further. I think I could shed a little light on some of the theories you have. I enjoyed the read. I appreciate the contact. I have to admit I’m trying to get caught up in all the things I’m involved in but I’d like to get in contact soon.